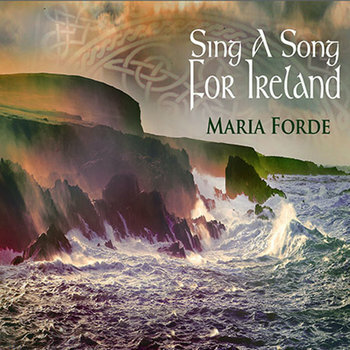 As an Irish- Australian, Maria Forde has always straddled both sides of her heritage in her songwriting. Incorporating the sweet melodies, that are the trademark of the Irish musical heritage, with observations of Australia, along with her personal experiences, Maria has blossomed into one of Australia’s premier songwriters. Her first album - “Will You Dance With Me?” - features the title song, written for a friend’s wedding, that has become a theme for weddings, in Australia and internationally, by Maria’s original and various cover versions. The trend, in Maria’s writing, to incorporate both her Irish origins and Australian sensibilities, are heralded by “Waltzing Matilda, My Darling” - a song about the torn spirits of the immigrant to both their country of birth and their adopted land, Australia. Her sophomore release, “Dark Island” like the title, exhibited noir attitudes, as Maria broached topics such as child abuse, the innocence of childhood, and family relationships. The next 3 albums - “Follow The Call”, “Rough Diamond” and “Next” all continued the themes, laid down on her first 2 albums, although her craft always progressed with each re-cording. Her next album, “Little Black Rose” bears testament to Maria’s endless quest to improve her musicianship, her songwriting craft and the desire to communicate to the listener. Already blessed with an angelic voice, Maria has grown into a masterful interpreter of her own material, able to totally connect the feeling of the music and words to the emotion of the song. This alone sets her apart from so many singer/songwriters. Since relocating to Trentham, in rural Victoria, Maria has begun to incorporate more of the wonder and fragility of the Australian bush into her work. Through out her career, Maria has toured constantly, performed at numerous festivals and built a solid and dedicated fan base, both in Australia, and internationally. In April 2015 Maria was awarded 'Performer of the Year' by the Koroit Celtic Festival. The music from the show "Sing A Song For Ireland", the story of our Irish ancestors.